For the multiplayer adventure included in the Game Boy Advance version, see The Legend of Zelda: Four Swords. The Legend of Zelda: A Link to the Past (Zeruda no Densetsu Kamigami no Triforce in Japan, lit. 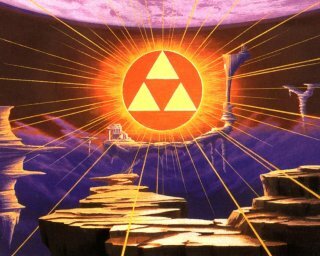 "The Legend of Zelda: Triforce of the Gods") is an action-adventure developed and published by Nintendo for the SNES, and the third installment in The Legend of Zelda series. It was released in Japan on November 21, 1991, in North America on April 13, 1992 and in Europe on November 24, 1992. The project was led by Shigeru Miyamoto and his team. 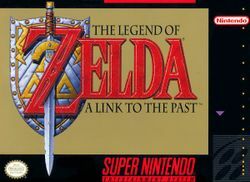 A Link to the Past used a top-down perspective similar to the original The Legend of Zelda, instead of the side-scrolling format of Zelda II: The Adventure of Link. A Link to the Past expanded on the original's mechanics, introducing gameplay features that have become hallmarks of the Zelda series, such as multi-level dungeons, the Master Sword, the Hookshot, and parallel worlds. It was well-received and is often considered one of the best installments of the series. It sold over four million copies and many critics and fans consider it one of the greatest video games ever made. In 2002, Flagship ported the game to the Game Boy Advance. The re-release itself had a few differences, and the cartridge also includes a multiplayer mode titled Four Swords, the first multiplayer title in the series. The game was later re-released on the Wii Virtual Console in Japan on December 2, 2006, in North America on January 22, 2007, and in Australia on March 23, 2007; as this was the SNES version running under emulation, the changes made by Capcom were not included. This page was last edited on 15 March 2019, at 05:26. This page has been accessed 348,022 times.